Our completely rebuilt transfer case with 4.16 gears professionally installed is ready to bolt in. Includes 4.16 low gears, all new bearings, seals, gaskets, counter shaft and shift sheet. All you add is the oil. (We recommend NON-synthetic 80/90 GL5 rated gear oil). Provides 84% low range reduction and 12% high range reduction. A must when using larger tires. 84% low range reduction, 12% high range reduction. A must when using larger tires. Kit NOW includes gears, all seals and gaskets, counter shaft, needle bearings, thrust washers,oring, and a new shift sheet! No cores required on gear kits! 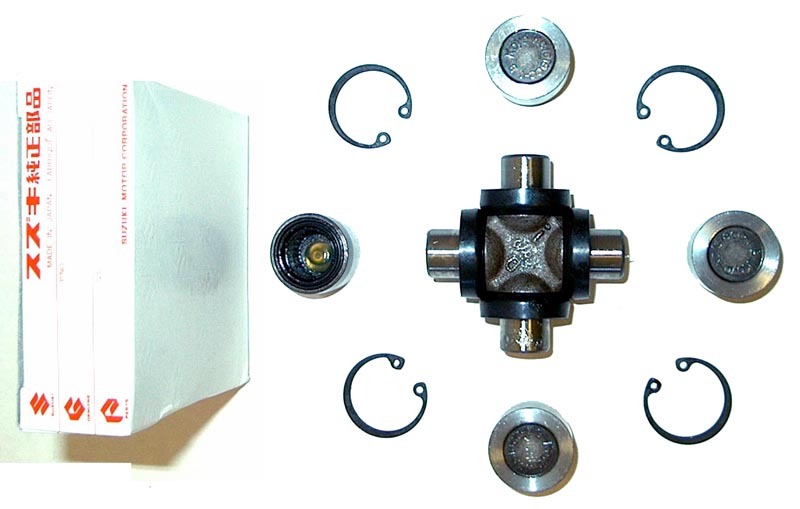 Includes bearings, seals, and gaskets necessary for rebuilding a Samurai transfer case. Includes all gaskets, seals, and a new shifter sheet. 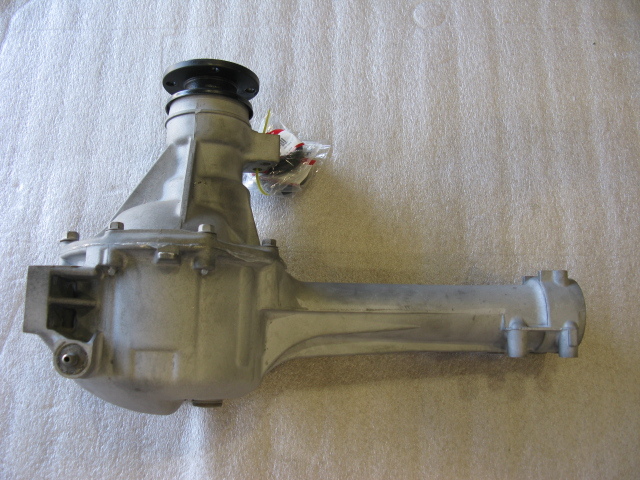 We provide rebuilt Samurai transmissions. Completely gone through and built with factory parts. Ready to go. Used 5 speed transmission. Good take outs from running vehicles in good order. Core charge applies. Replace your worn out shift sheet with an OEM Suzuki replacement or with an aftermarket polyurethane one! Centerforce clutch systems provide smooth engagement and light pedal pressure without compromising high performance. Designed for use with engines with high horsepower and torque output, and are ideally suited for use with four wheel drive vehicles. They generate up to 90% increase in holding capacity over stock systems. Kit Includes pilot & throw out bearings and alignment tool. Premium heavy duty replacement clutch kit for your Samurai. Comes with everything you need including hd clutch disc, pressure plate, pilot and release bearing. These should be replaced when installing a new clutch. This is the part that needs replaced when your shift handle becomes loosey-goosey. The last transmission mount you will ever have to replace. Guaranteed never to break! 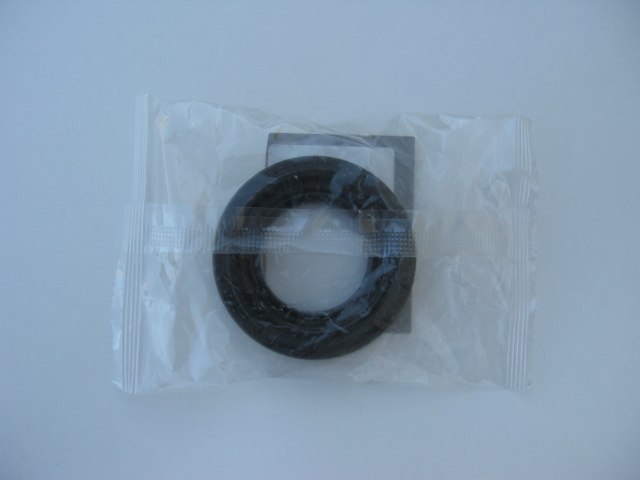 Restore that nice tight shift pattern with this hard compound polyurethane shift bushing. The Automatic Transmission Tail Shaft Adaptor allows the Samurai intermediate driveshaft to be fit to the rear of the Sidekick/Tracker 4WD 3 spd automatic transmission. 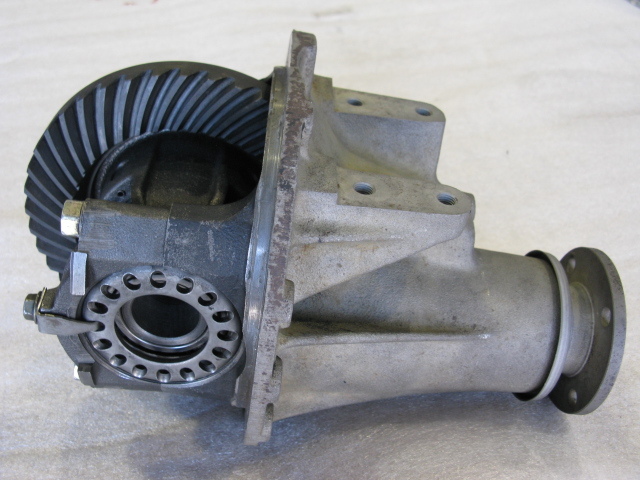 This early 3 speed automatic transmission to 2.0 adaptor adapts the Sidekick / Tracker 3 speed automatic torque converter to the 2.0 flex plate. The Air Locker provides normal differential action when unlocked, maintaining safe, predictable handling. Simply flip the dash-mounted switch when off-road to lock the axles together providing 100% traction to all wheels. 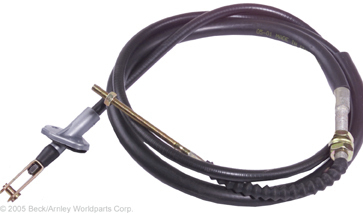 The air compressor doubles as the perfect accessory for inflating tires, air mattresses, & other camping and sporting accessories when used with the optional tire inflation and accessory kits. Available for front and rear diff. Permanently mounted, this compressor is installed into your truck and includes a full wiring loom with Air Locker solenoid plug in contacts, mounting hardware with reinforcing bracket and quality compressor isolating switch. 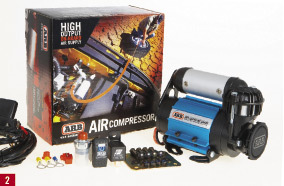 This compressor can be used to activate Air Lockers, and can perform other functions such as inflating camping gear with an optional inflation kit sold separately. Tractech's locking differentials keep the wheels locked together when ever torque is applied so that together the left and right wheels always deliver maximum traction to the ground; neither wheel can spin out. Used replacement gear sets for Sidekick/Trackers or for swapping into your Samurai for a better gear ratio. In house differential rebuilding and gear swap service. Whether rebuilding a stock diff or swapping 5.12 or 4.62 into your Sami..we've got you covered. We use only premium parts for years of long life and service. All Bearings, races, seals, and crush sleeve needed to rebuild the Sidekick or Samurai 3rd member. Factory crush sleeve for setting up Suzuki differentials. No cheap aftermarket here, only the factory quality will do. Factory pinion seal for setting up Suzuki differentials. No cheap aftermarket here, only the factory quality will do. 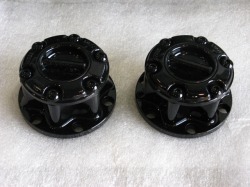 Premium high quality replacement pinion bearings. Premium high quality replacement side bearings. Custom Suzuki Hybrid axle housings to accomodate the larger rear Sidekick 3rd member when doing a OEM Sidekick / Tracker gear change into a Samurai. Spring perches, shock mounts, and diff cap are sold separately but can be installed at no extra charge when building the housing - you just pay for the parts! These are "STRONG"! 26 Spline, 4340 Chrome moly and feature much stronger rolled splines(instead of cut splines) and Mikronite finish. Recommended for tires up to 35"
For use with rear Samurai side gears. This complete kit includes all wheel bearings, kingpin bearings, seals, and gaskets to rebuild BOTH sides of your front axle housing. We offer rebuilt factory Aisin hubs. We've found the factory pieces to be the highest quality and most reliable parts available. Completely gone through from top to bottom and ready to install. Used rear axle shafts, when available. 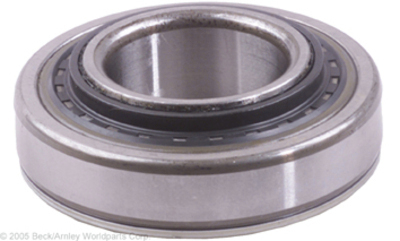 Premium replacement wheel bearing. OEM quality. Requires wheel bearing retainer. Needed for installation of new rear wheel bearings. Enlarge the hole in your rear Samurai backing plate so that the bearing will slip through, then put these plates on before installing new wheel bearings. Now your rear axles can be easily removed without opening the hydraulic brake system and also allows for easy carrying of spare rear axles without that bulky backing plate. When you get tired of breaking and replacing those short-lived aftermarket ones and you have torn up a few spendy driveshafts, these u-joints will end your woes and last for years! 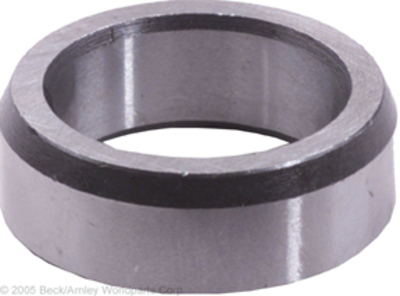 We offer 1” and 1/2" drive shaft spacers. The reason for these is quite simple, when you lift a truck you effectively shorten the drive shaft. Either through the slip yoke on the t-case output shaft, as the case with the Sidekick/Tracker, or on a built-in slip yoke on a standard style drive shaft. This spacer relocates the drive shaft back to its standard seating position on its slip yoke splines. 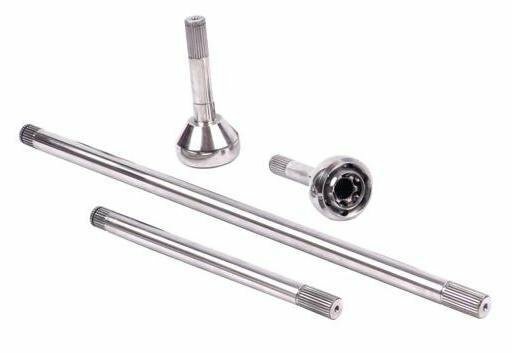 If your drive shaft is too short or too far out on the splines it can cause vibration, premature yoke ware, or even worse catastrophic failure of the drive shaft and/or t-case during articulation. For spacing those wheels out. Precision machined. Comes with all hardware needed. 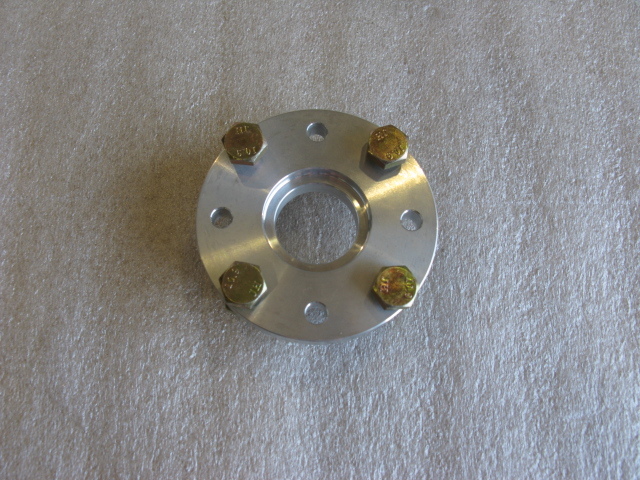 1 1/4" aluminum wheel spacers with lug nuts.